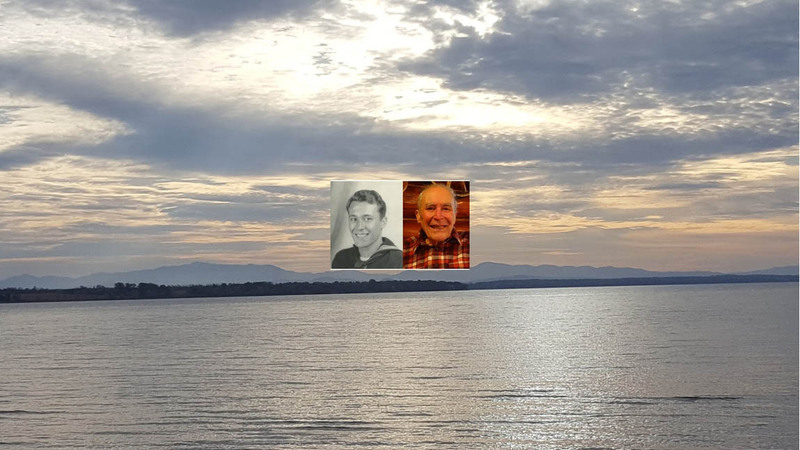 LAKE GEORGE NY — Charles Woodbury Jefts of Lake George, New York, died after a short illness on April 22, 2018, the eve of his 63rd wedding anniversary, at home in the loving presence of his family. Up until the last weeks of his life he was still very active, enjoying outings with his wife, Helen, including driving up to his forest woodland in Diamond Point, a place he loved and spent countless hours over the years. 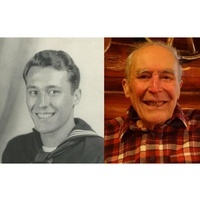 Charlie was born April 2, 1925 in Schenectady, NY where he graduated from Knott Terrace High School and enlisted in the US Navy in 1943, serving as an Aviation Ordinanceman Second Class in Jacksonville, Florida until his honorable discharge in 1946. After the war he returned to New York State and worked for the General Adjustment Bureau, assessing storm damage across the country. After moving to Glens Falls, he met Helen Suprenant. They married on April 23, 1955 settling in Lake George Village where he’d become a real estate agent with Floyd C. White. In 1968 he opened his own agency, Charles W. Jefts Real Estate, which operated until 2006. His work appraising land on and near Lake George reinforced for him the importance of valuing land for its own sake, versus something to be developed or significantly altered. He purchased two tree farms in his life time, from which he gained a vast amount of knowledge about tree species and forest management, much of which he has passed on to his daughters. It was very fitting that he should pass on Earth Day. Charles Woodbury Jefts had many interests and a curious and sharp intellect. He practiced black and white photography and dark room development for many years, and took creative writing workshops. He was an avid reader on many topics, a cross-country skier, hiker, and sailor. He served on the Advisory Board for the State Bank of Albany and was one of three assessors for Lake George Village, and later the sole assessor for the town and village. He was a long time member and past-president of the Lake George Rotary Club and a member and past president of the Lake George Chamber of Commerce. In 2002 he and Helen were made Rotary International Paul Harris Fellows by their daughters. Charlie became an exempt member of the Lake George Volunteer Fire Department in 1981 after 23 years of active service. He was one of the first scuba divers on Lake George in the early 1950s, and served as a part-time deputy sheriff on summer lake patrol from the late 1950s until the mid-1960s. He was a member of the American Legion Post 0374 and the Warrensburg Masonic Lodge 425. He and his family were also long time members of the Lake George Club. In his retirement years he became a railroad conductor and engineer and went on to volunteer many hours for the Adirondack Scenic Railroad running the train between Old Forge and Thendara. He also joined Lower Adirondack Search and Rescue and participated in many operations. Charles Woodbury Jefts is survived by his wife Helen, of Lake George, his two daughters, Susan Jefts of Middlebury, Vermont and Nancy Jefts of Brant Lake, and her husband Michael Comisky, two step-grandchildren, Jennifer Comisky of Salem, NY and Christopher Comisky (Kimberly) of Queensbury, and several step-great-grandchildren, nieces and nephews. He is predeceased by his brother Robert Jefts, his mother Ethel Woodbury Jefts Donnan, his father Frank Milton Jefts and his step-father, Nathan Donnan. Calling hours will be held at Baker Funeral Home, 11 Lafayette St. Queensbury, NY on Thursday, April 26, from 1 to 3 p.m. followed by a short service. There will be a gathering afterward for family and friends in Lake George. The family requests no flowers. For those who wish to make a donation in his memory, please consider High Peaks Hospice, the Bell Tower fund of the Caldwell Presbyterian Church, 71 Montcalm Street, Lake George, NY 12845 or the Rotary Club of Lake George, P.O. Box 321, Lake George, NY 12845. Condolences can be sent or brought to the Baker Funeral Home, or through www.bakerfuneralhome.com.